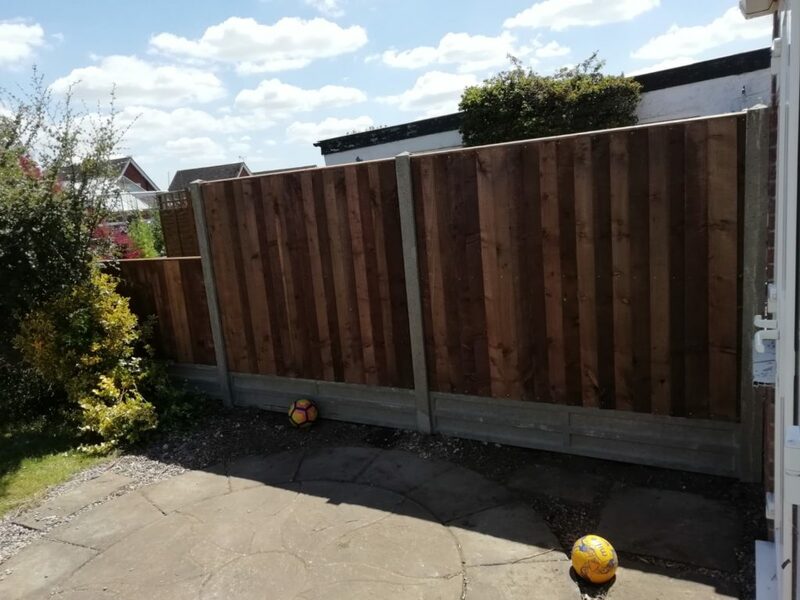 Heavy duty secure pressure treated fence panels 50 x 50mm framing and 2ex 22x125mm close boards can be fitted to wooden posts or slotted into reinforced concrete posts. 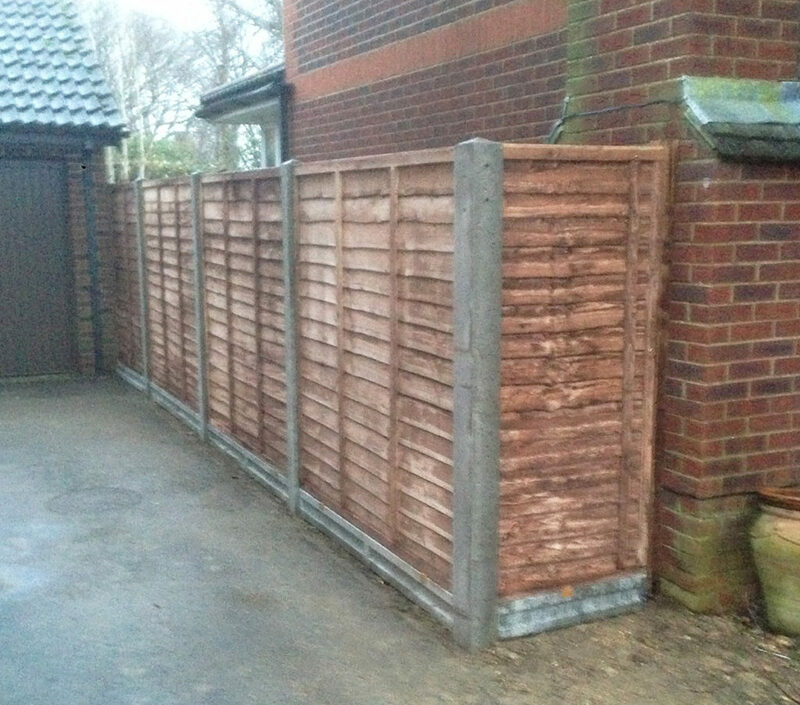 All weathered, clad with 100mm featherboard pales. 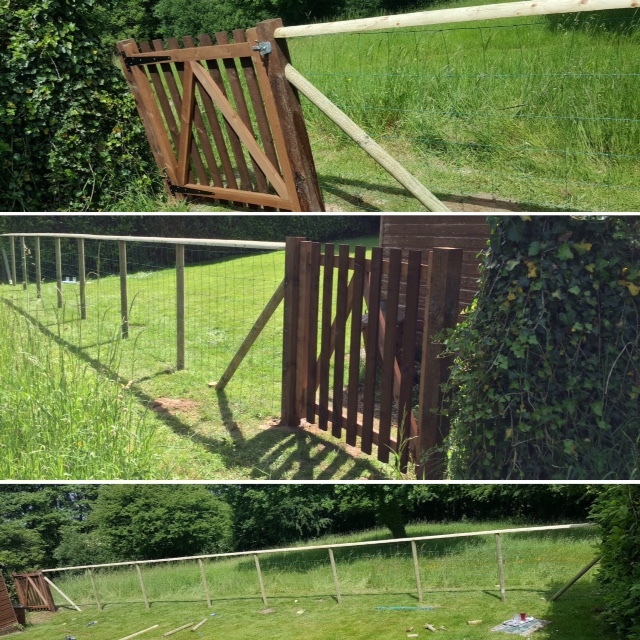 We have now improved the specification on these panels by making the top and bottom rail heavier, this means an even stronger fence for you. 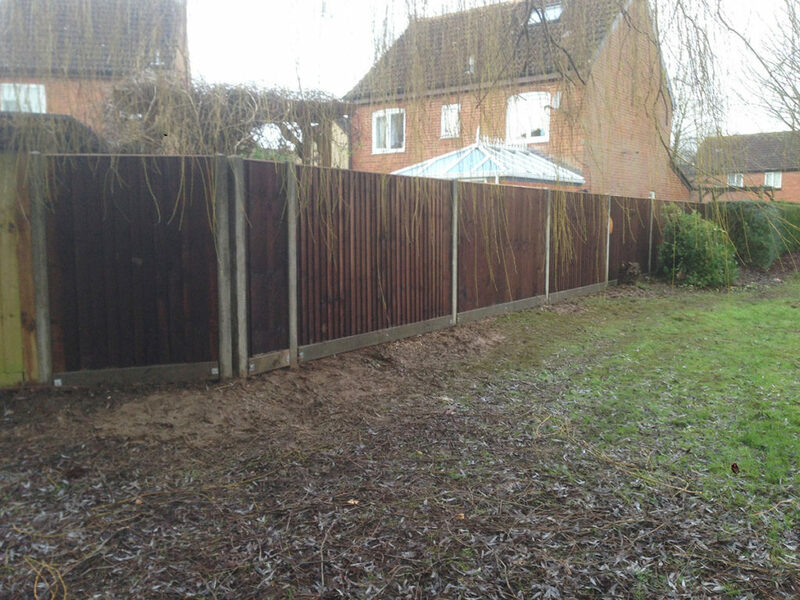 All panels are 1.83m wide and 50mm thick, if you need a narrower panel to complete your fence, it is fine to cut a panel to the correct size on site. 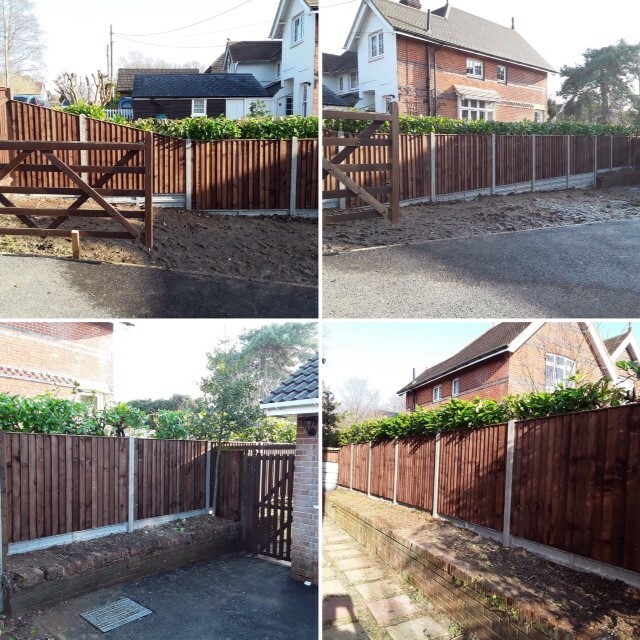 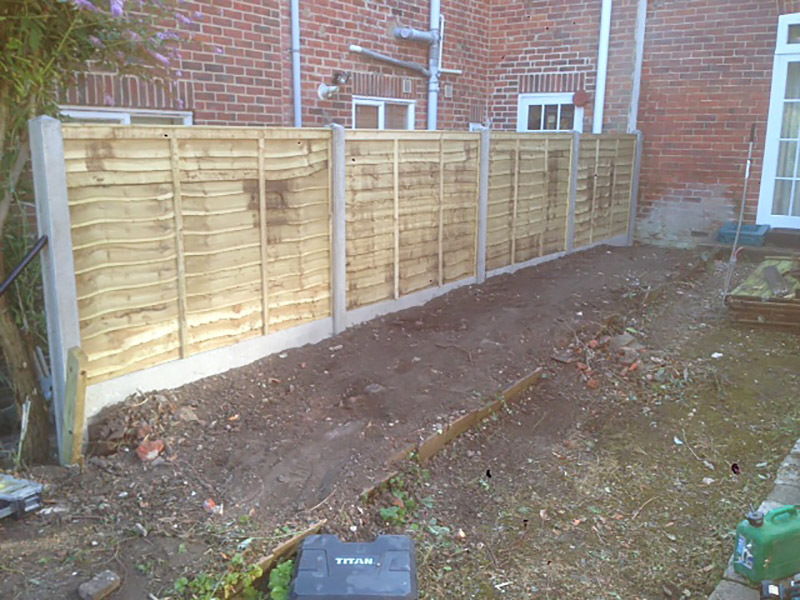 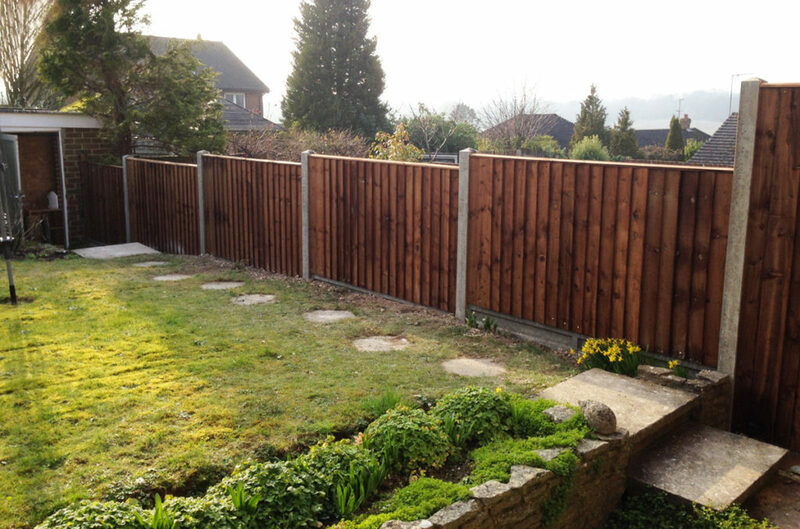 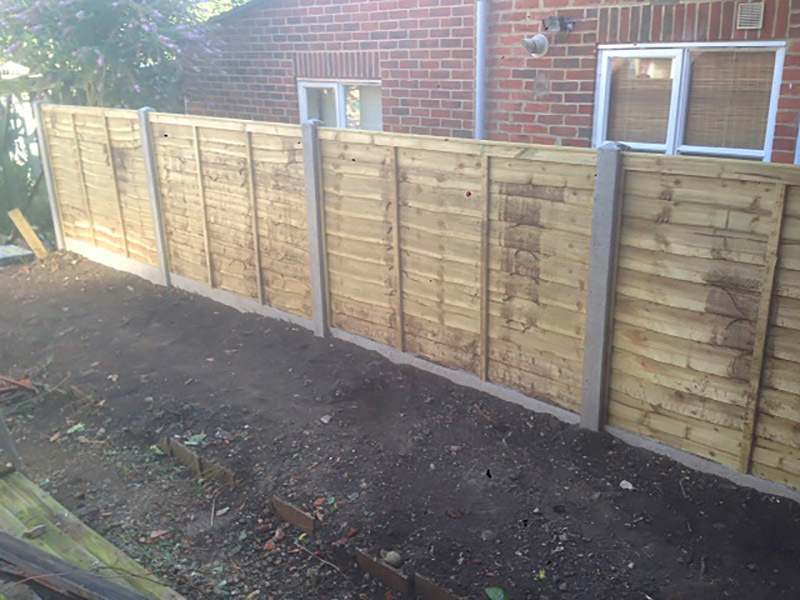 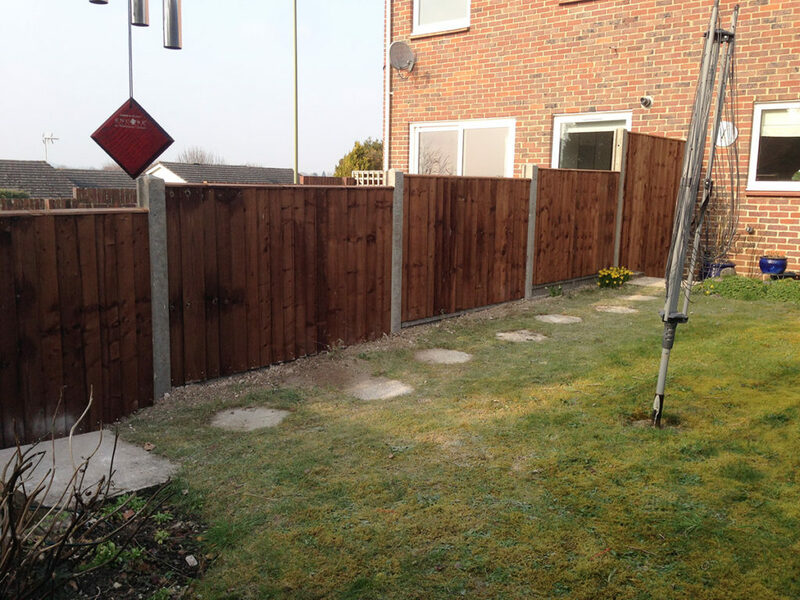 If you need Close Board Fencing with concrete posts then contact All Aspects Fencing Ltd. 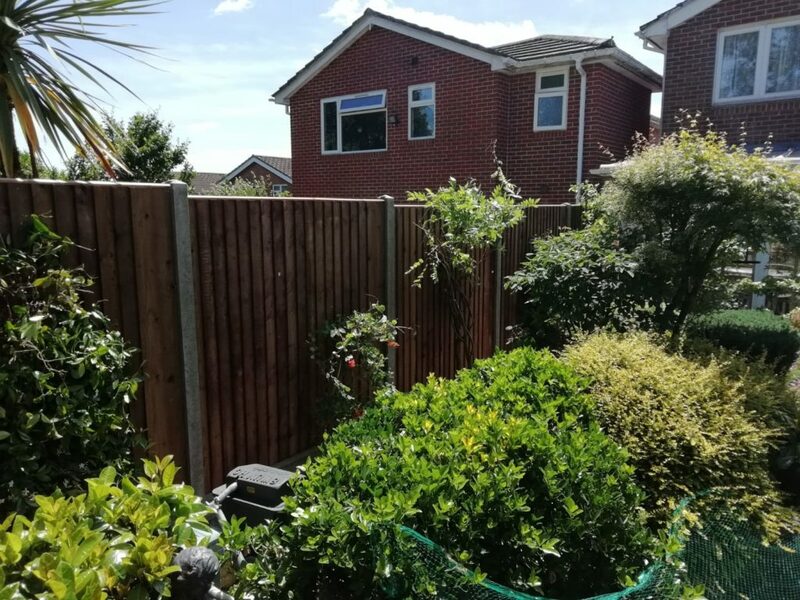 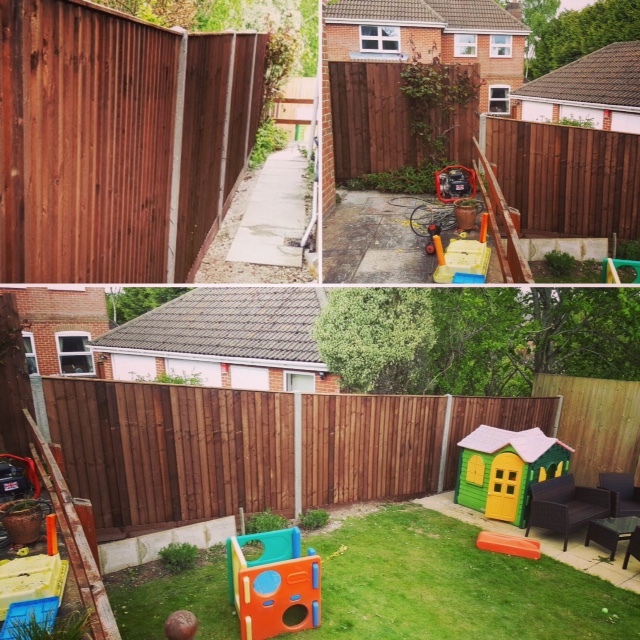 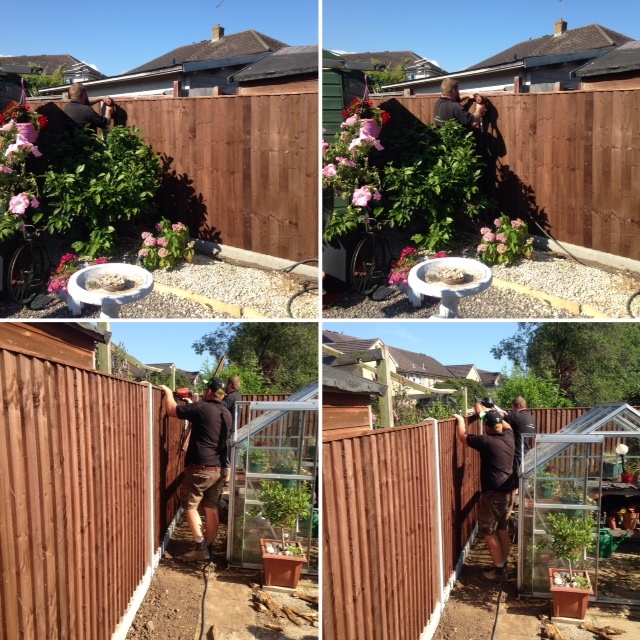 If you need Close Board Fencing then contact All Aspects Fencing Ltd.
Our range of garden fence panels are designed to work with our slotted posts creating a simple and easy to use fencing system to suit most garden styles. 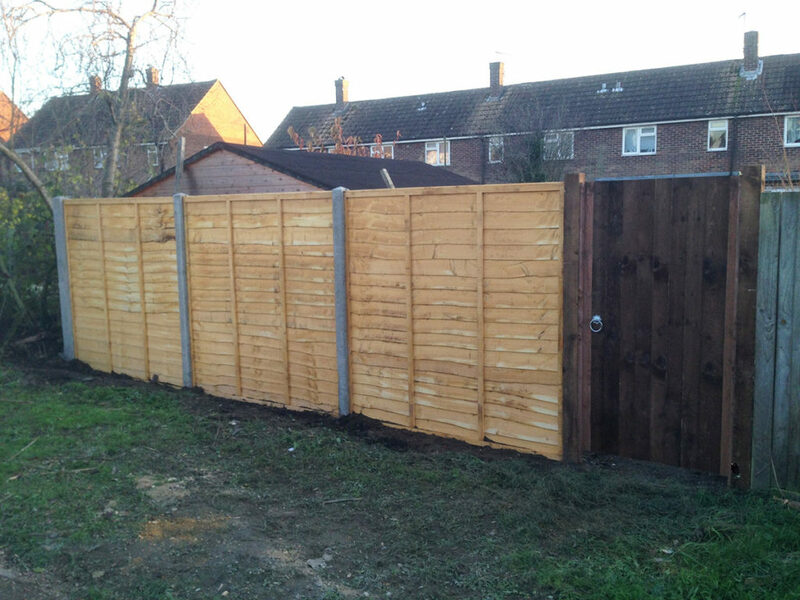 All fence panels are heavy duty superior quality. 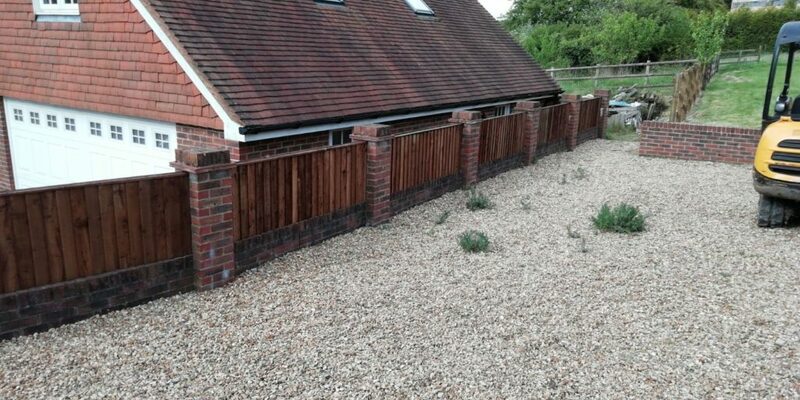 Capping and Gravel Boards are also available. 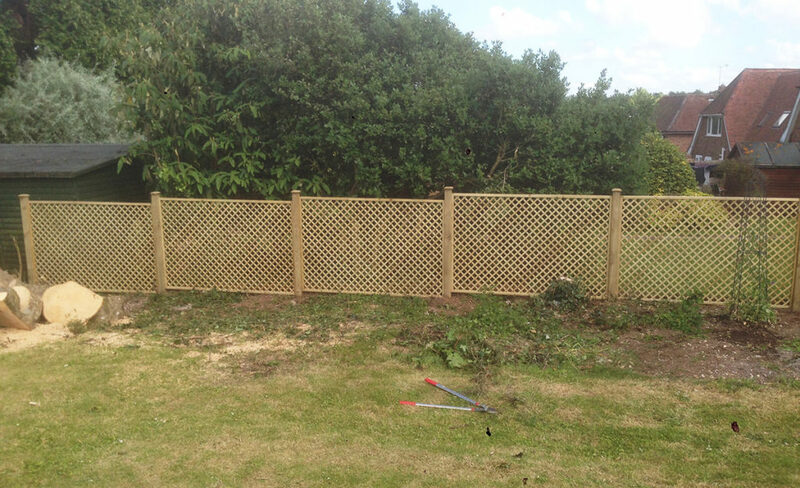 The perfect decorating solution, providing privacy and security within your garden. 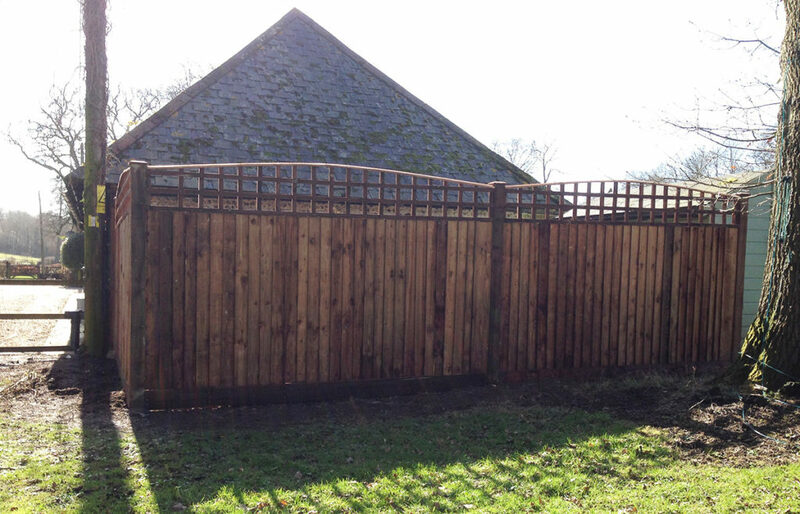 A strong panel, pressure treated and can be fitted to timber posts or slotted into reinforced concrete posts. 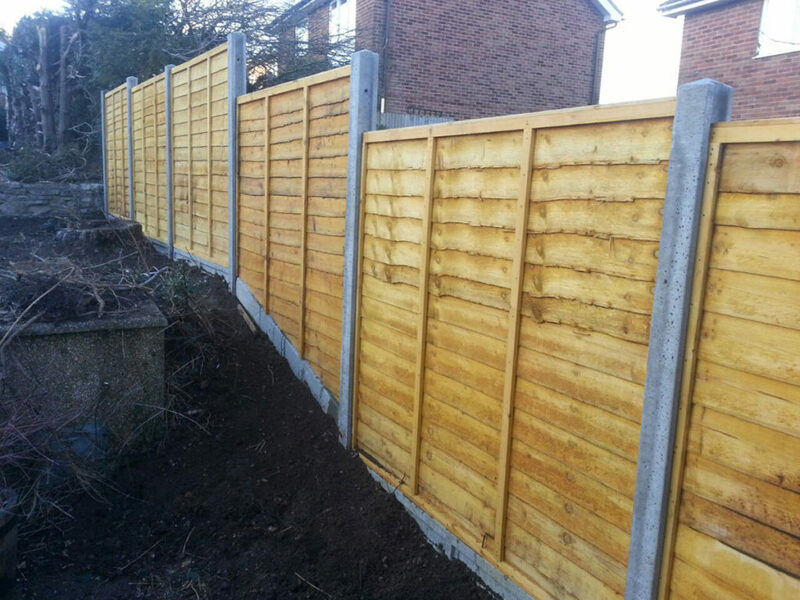 All panels are 1.83m wide and 50mm thick. 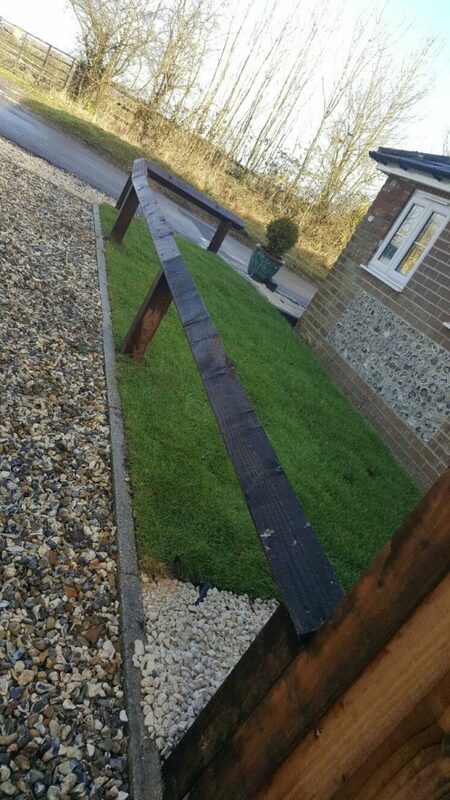 Constructed with 3 rails. 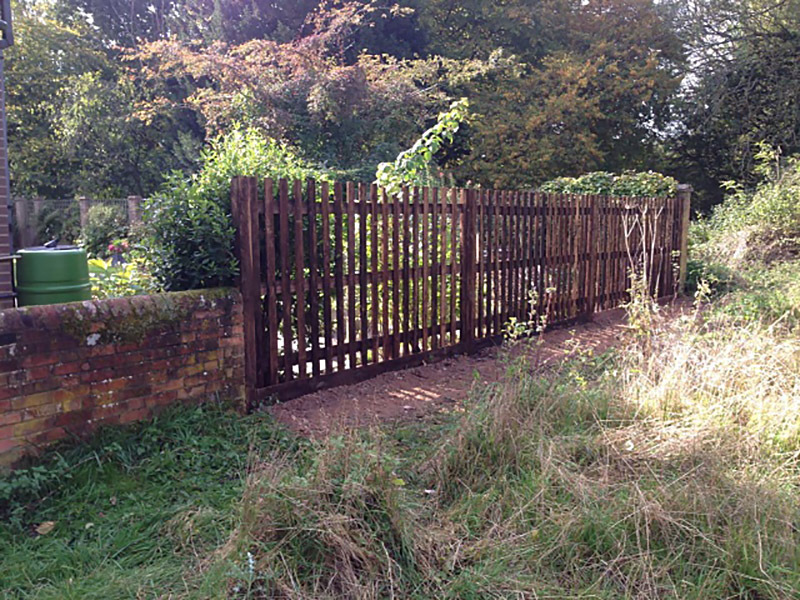 All weathered, clad with 100mm featherboard pales. 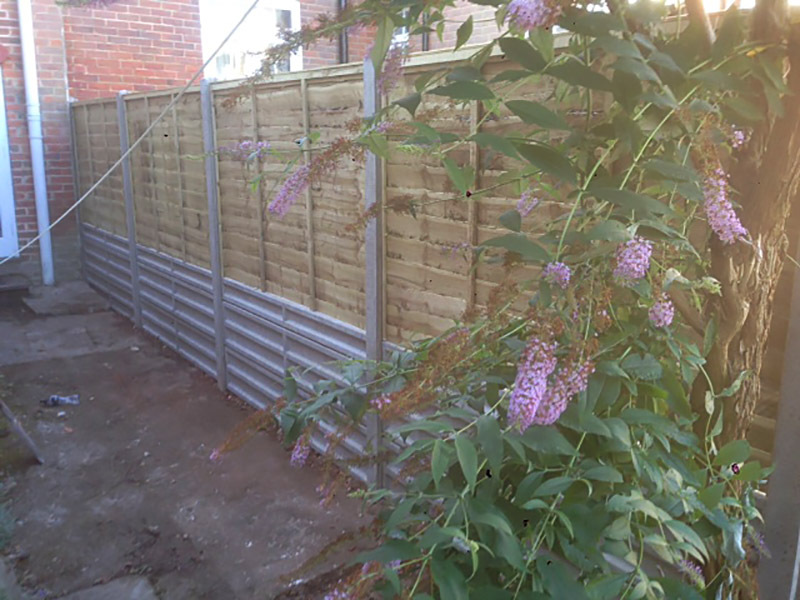 Galvanized nails are used throughout for longer life. 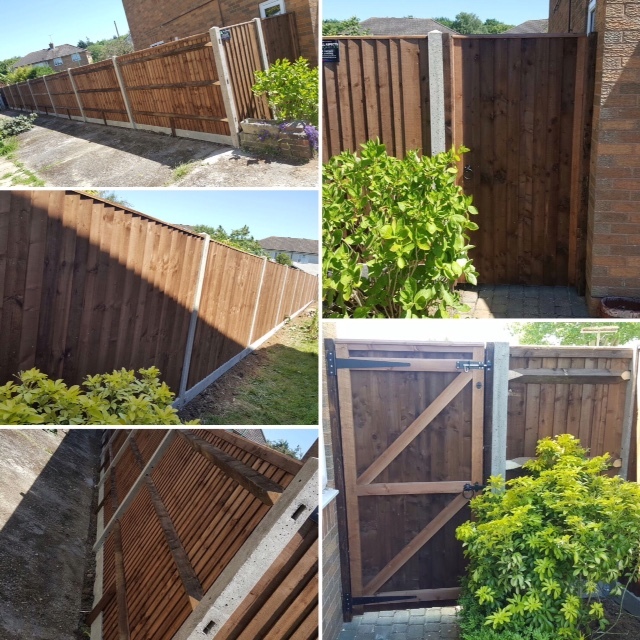 If you want European Fencing then contact All Aspects Fencing Ltd.
A traditional larch lap fence panel adds privacy and security to any garden. 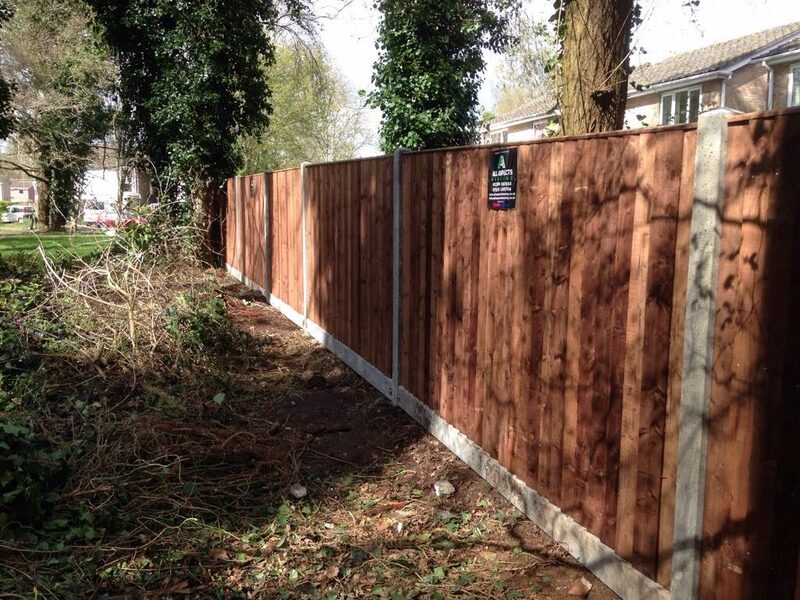 Can be fitted to timber posts or slotted into reinforced concrete posts. 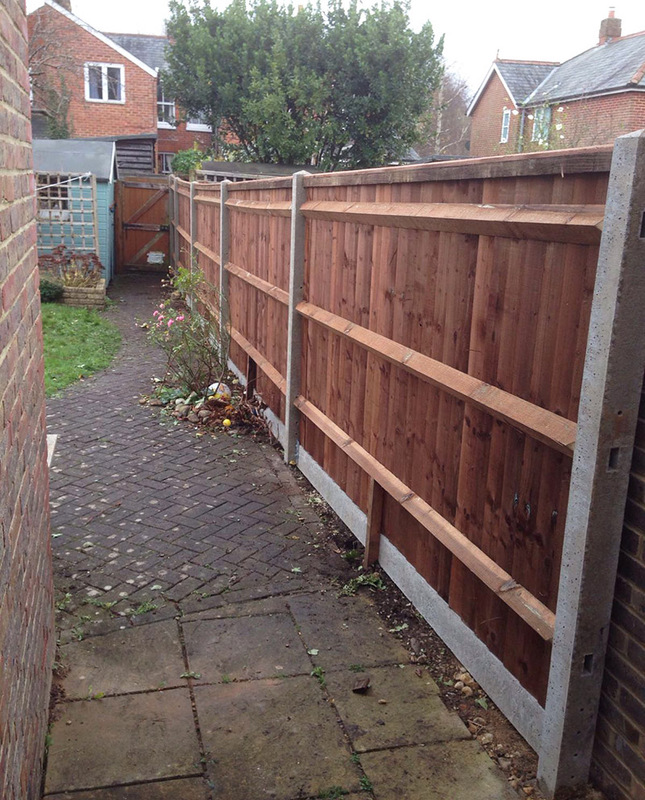 Some people prefer the boards of these panels to run horizontally. 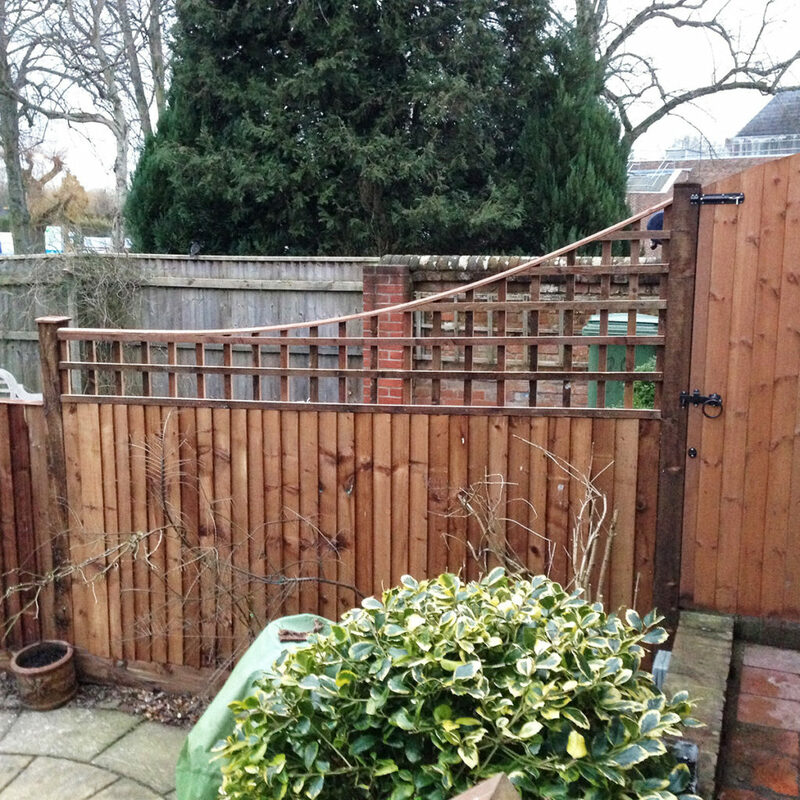 This variation obviously still allows the wind to pass through the panel, but gives a different appearance. 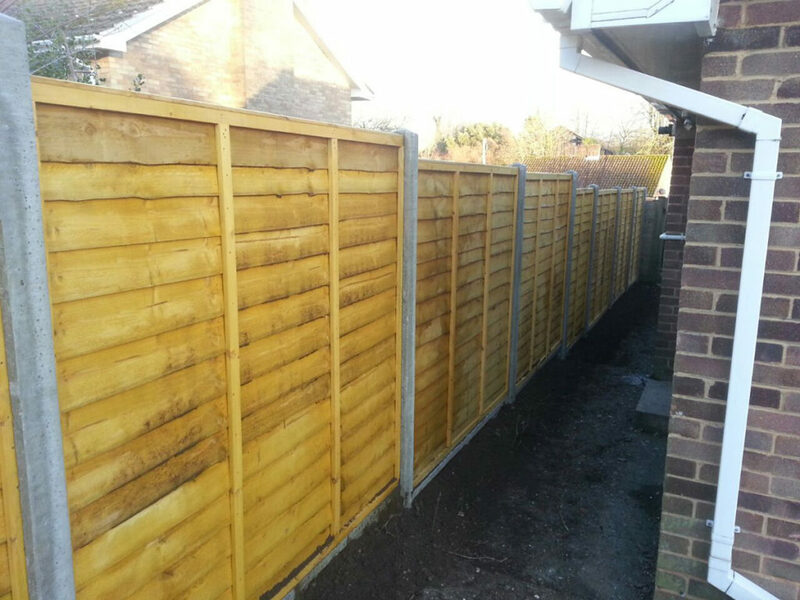 These are sometimes also known as Ventilation panels. 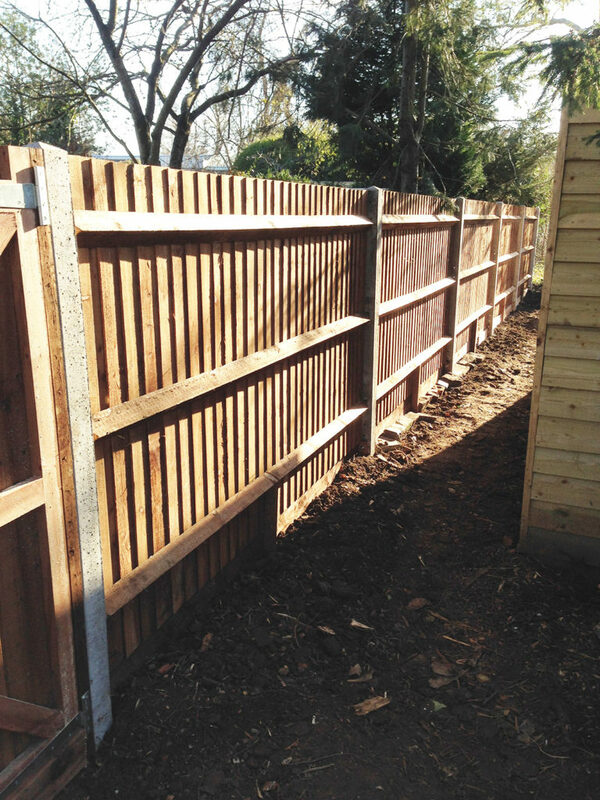 The spacing of the panel boards varies slightly on different height horizontal Hit and Miss – we recommend vertical panels are used when different height fence panels are used in a run. 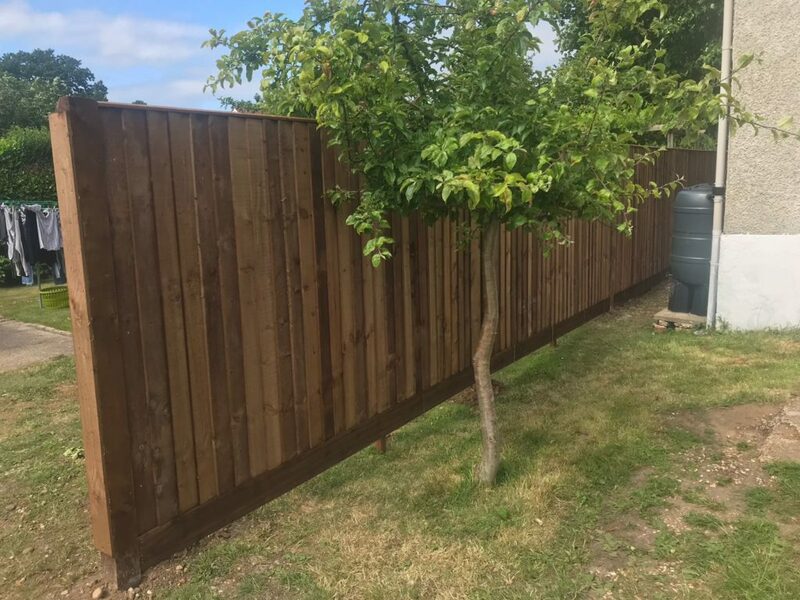 If you want Larch Lap Fencing then contact All Aspects Fencing Ltd.
Are you looking for a fenceline, that still allows you to enjoy your views, but keeps out deers and foxes from you paddocks or gardens? 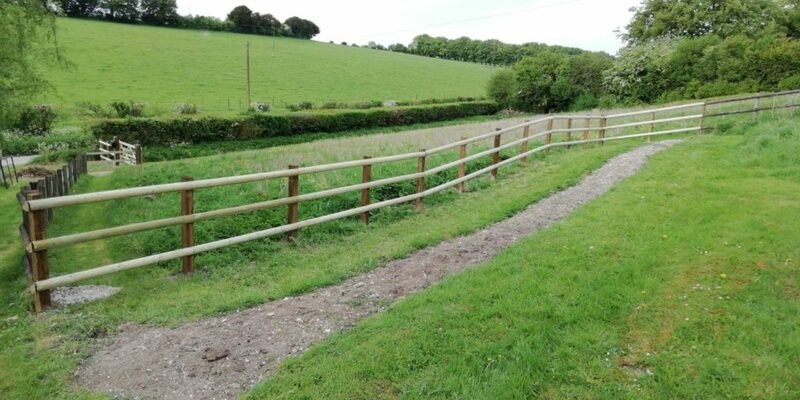 We highly recommend our stock fencing option. 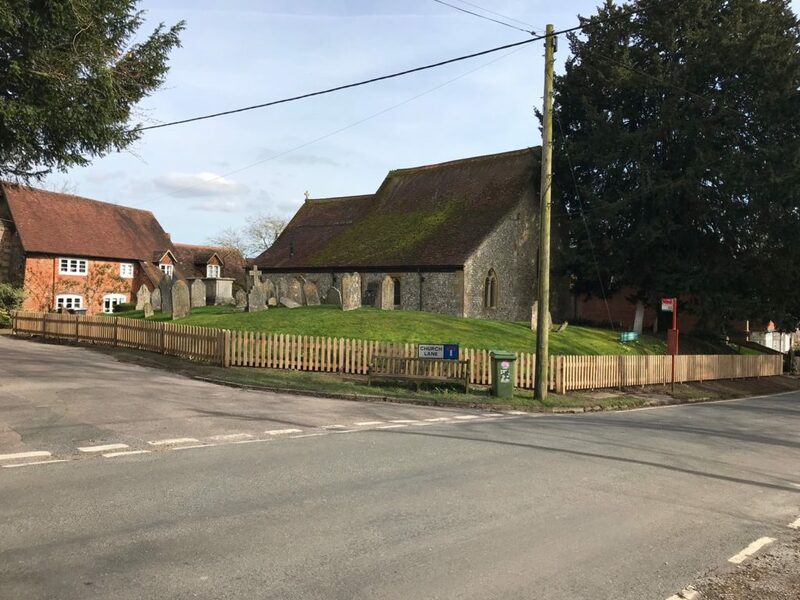 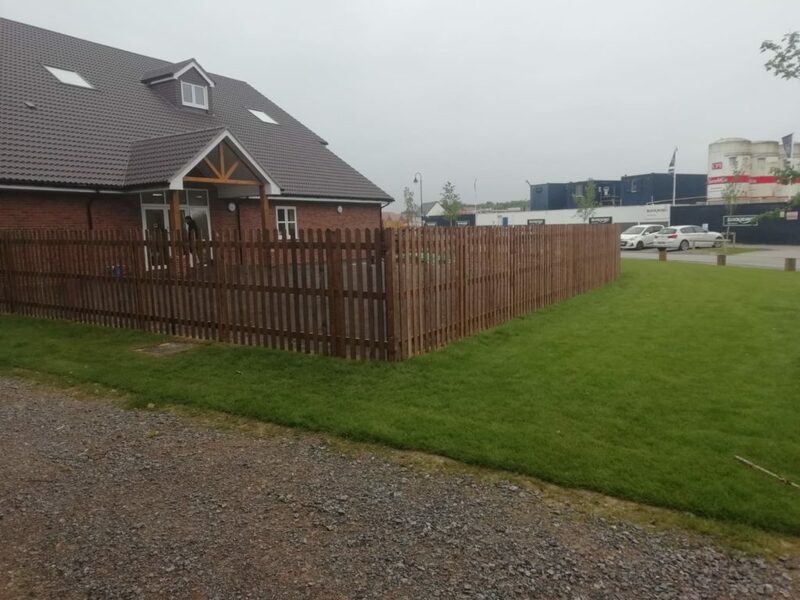 Custom designed to suit your garden and paddock needs, you can still enjoy amazing views, knowing that you have the stock fencing in place to protect your property. 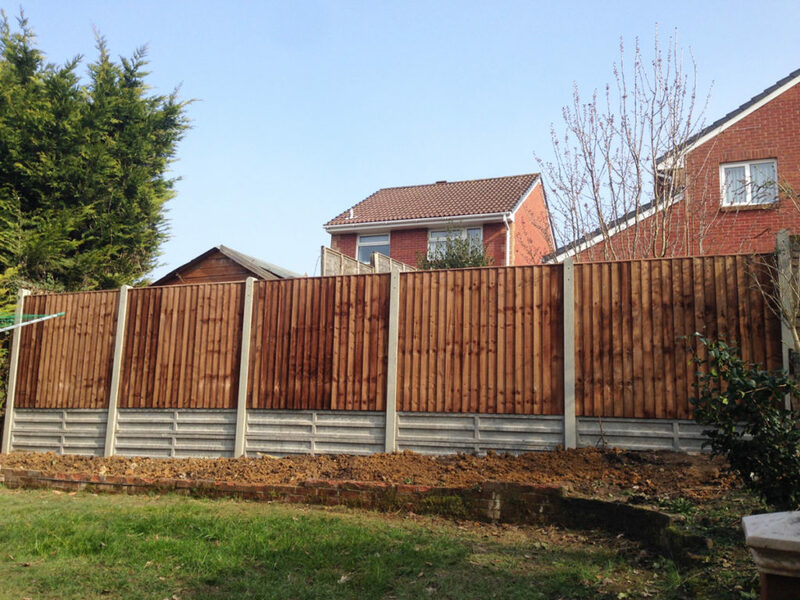 If you want Stock Fencing then contact All Aspects Fencing Ltd. 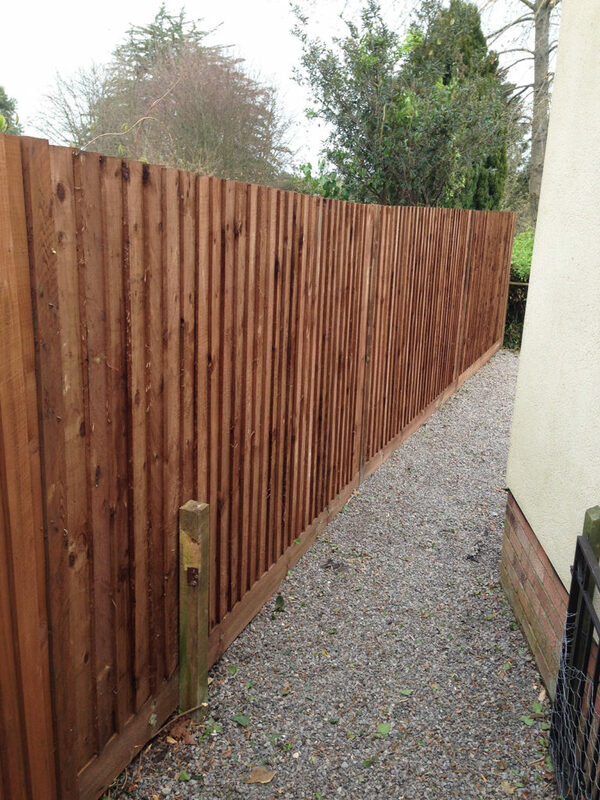 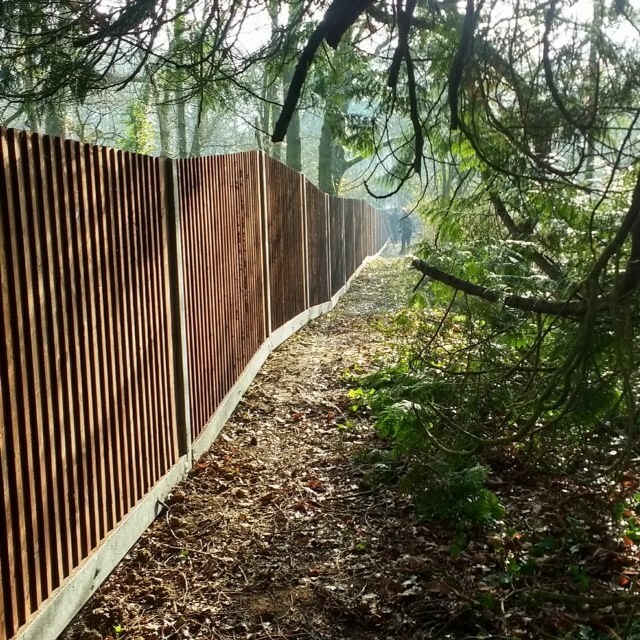 Heavy duty barrier type timber fence, ideal for restricting vehicle acces. 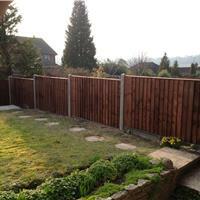 Posts for Diamond / Knee Rail Fencing with birds mouth top, 100 x 100mm section, softwood planed finish. 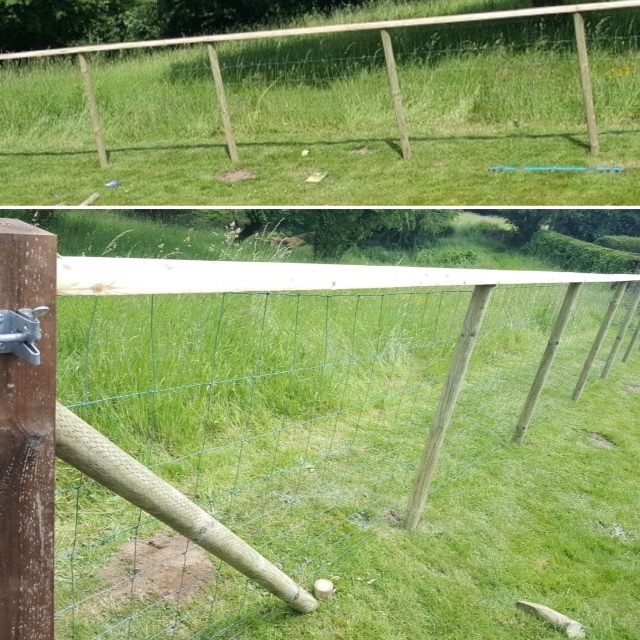 Galvanized strap to secure post to rails with 50mm nails. 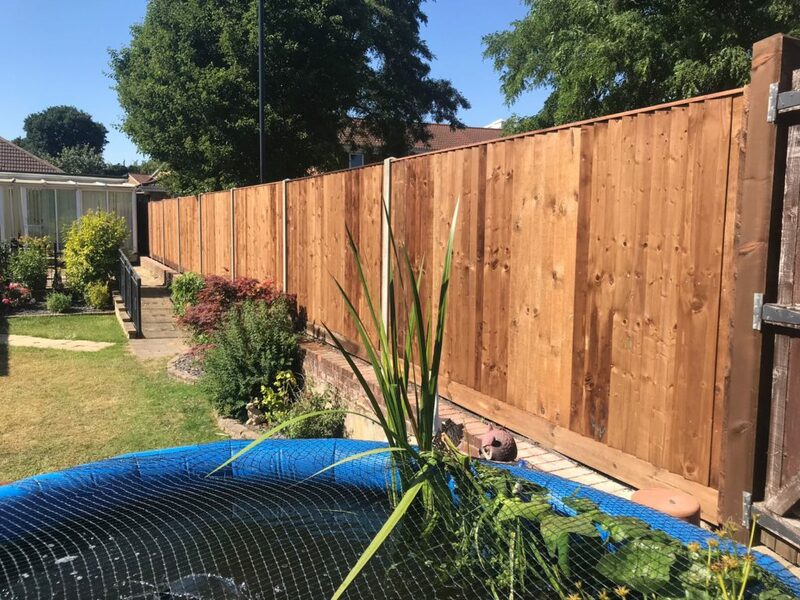 If you want Birds Mouth Knee Rail then contact All Aspects Fencing Ltd.
All Aspects Gate’s & Fencing produce two standard styles of quality picket fencing. 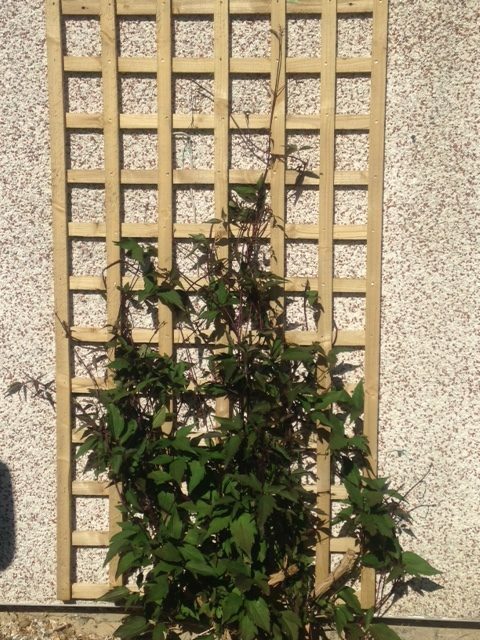 These two classic styles are a rounded top and a pointed top. 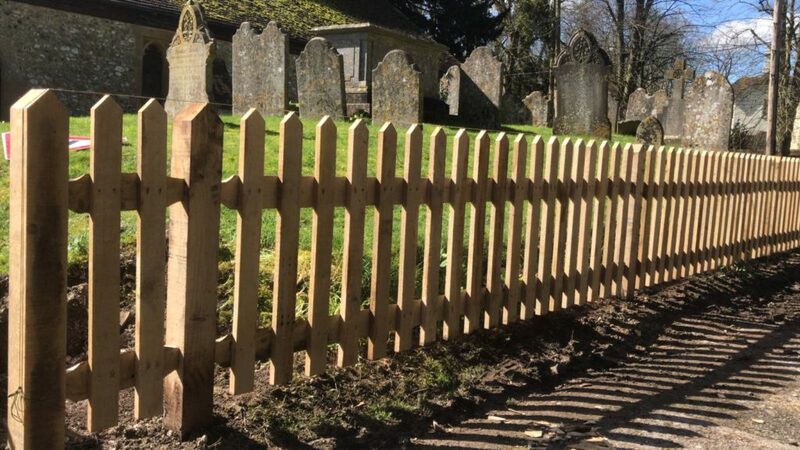 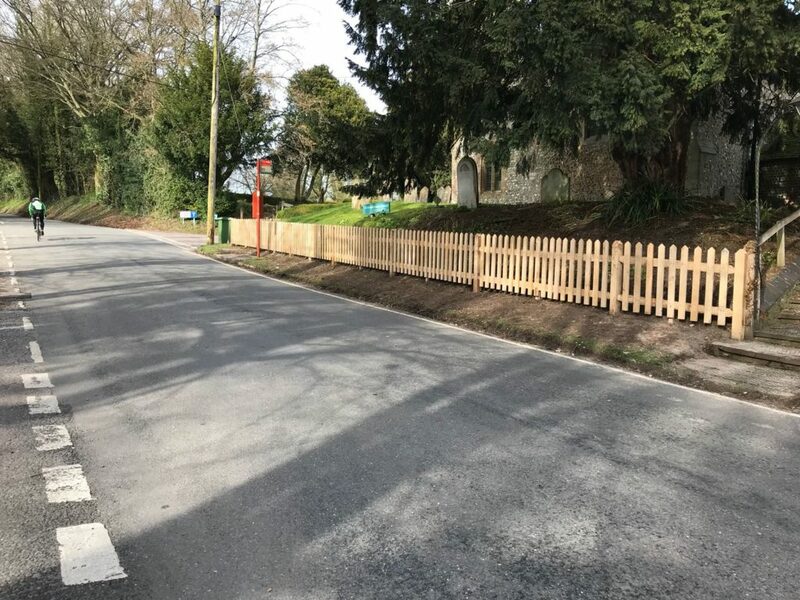 Picket fencing is available in traditional form, where all the components are sold separately (pales, rails and posts) and constructed on site. 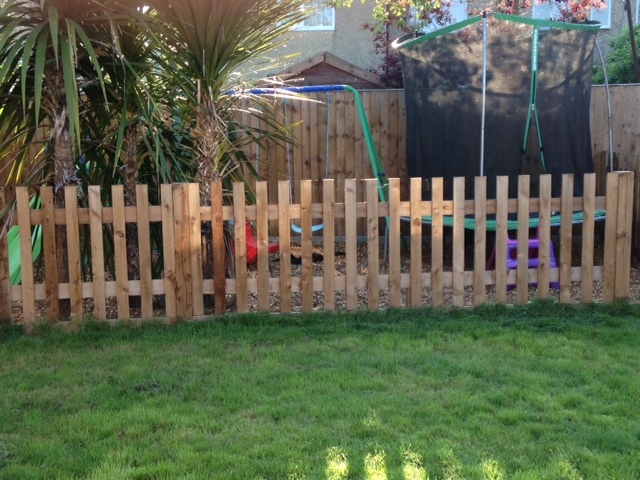 The other type is panel form picket fencing, this is when a panel is purchased as an item and then placed into slotted posts. 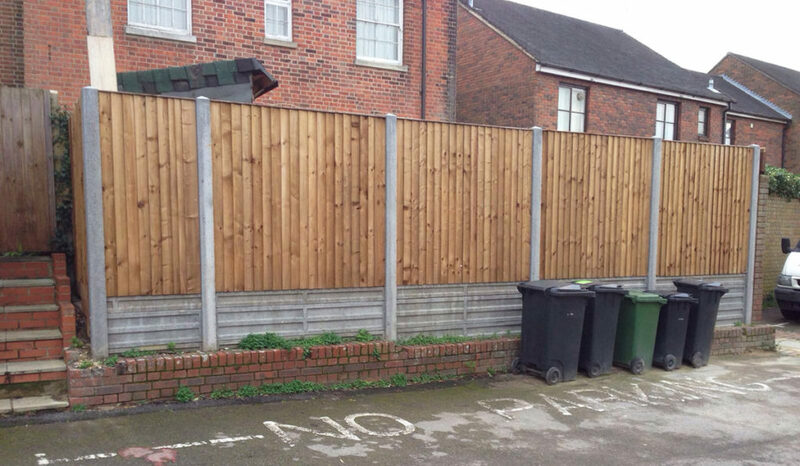 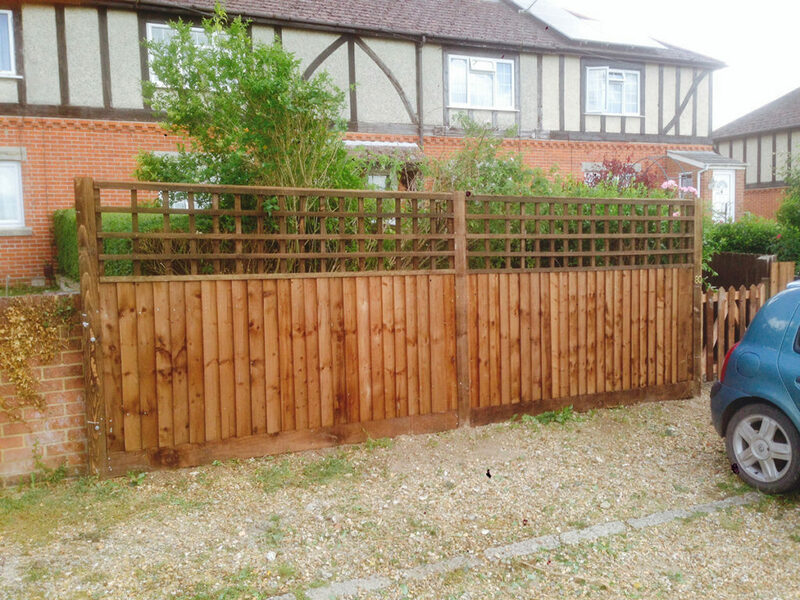 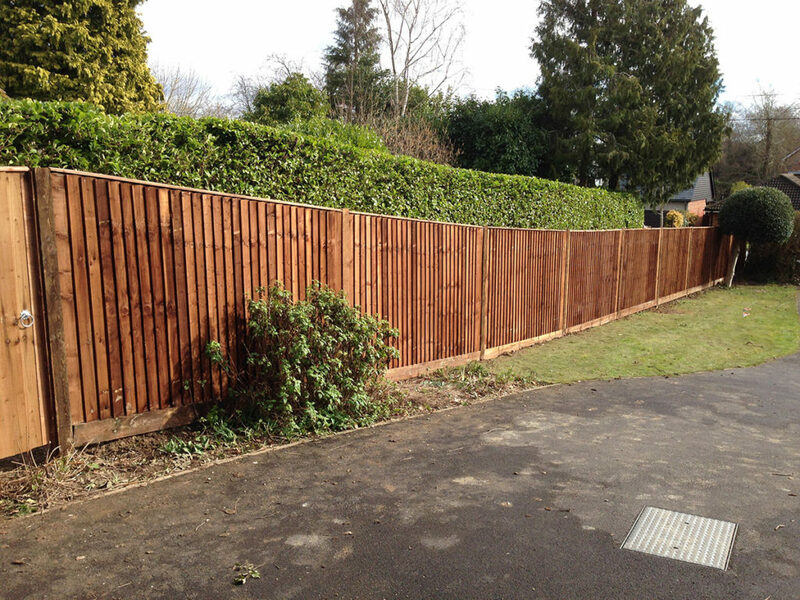 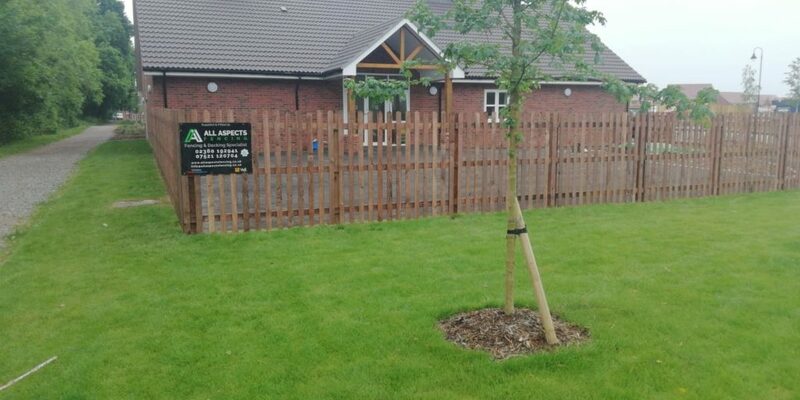 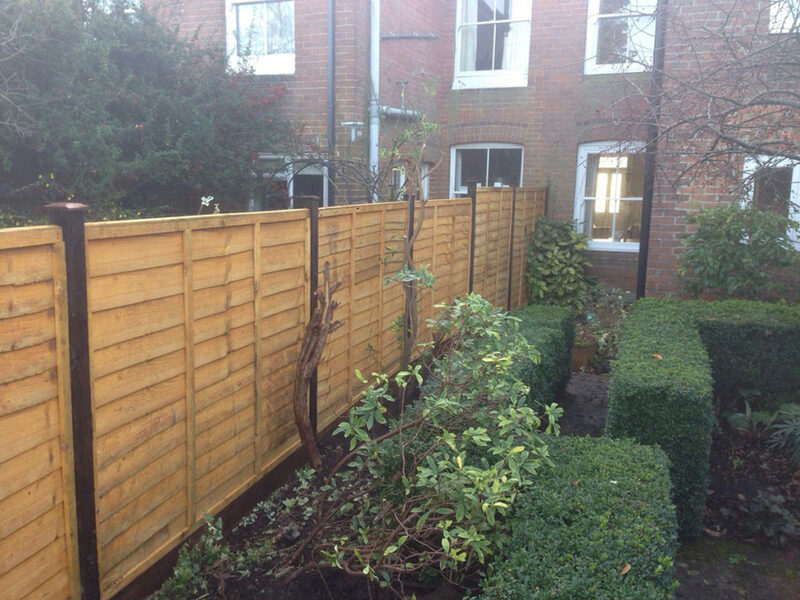 If you want Picket Fencing then contact All Aspects Fencing Ltd. 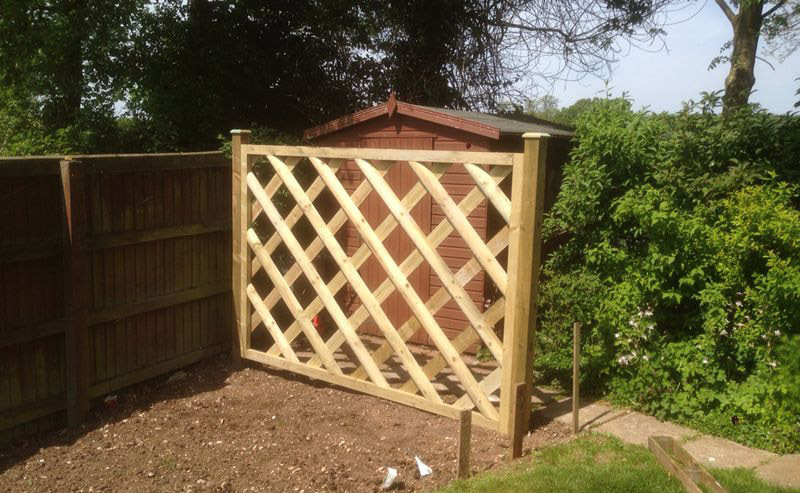 If you are looking for a strong and sturdy option for your fencing needs, then have you thought about Chevron panels. 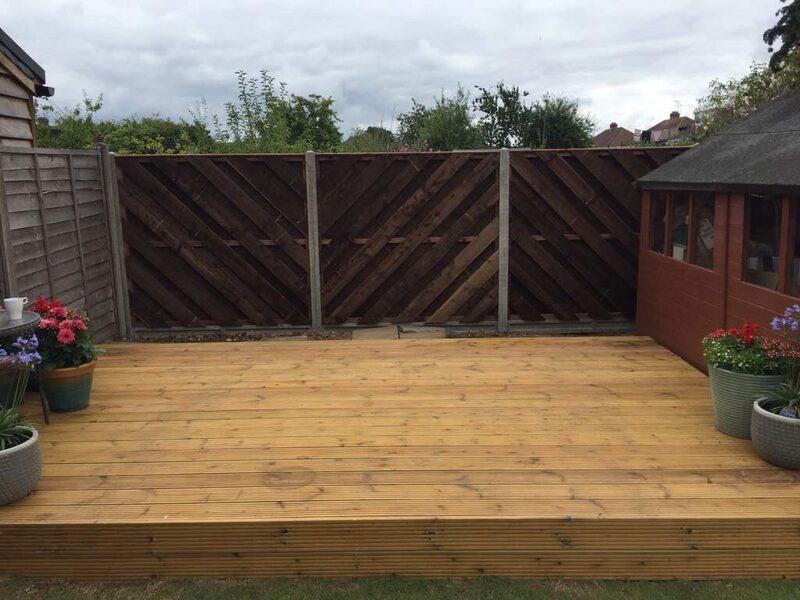 Made on site to suit the gap you need chevron panels are an eye catching option for something a little bit different in your garden. 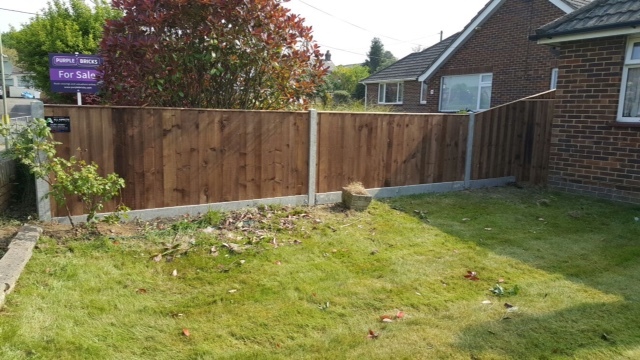 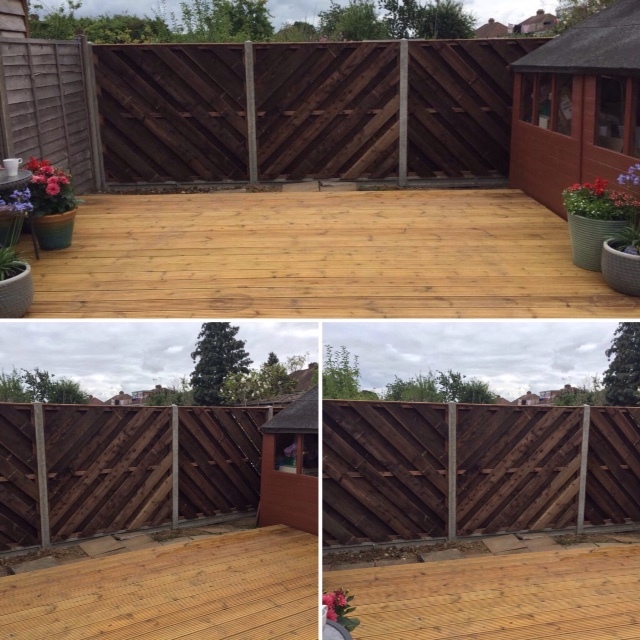 If you want Chevron panels then contact All Aspects Fencing Ltd.
An attractive looking rustic fence comprises of sawn square section vertical posts, with three or four horizontal square section rails, morticed into the posts. 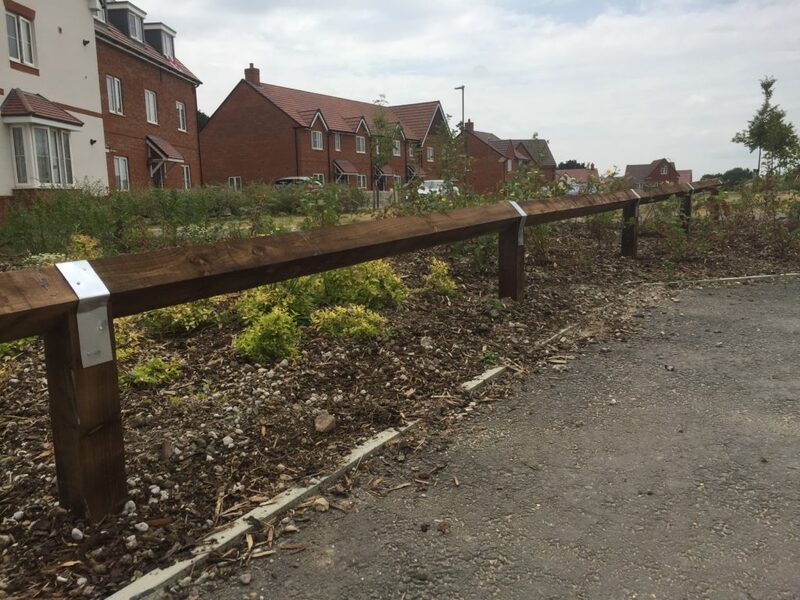 There are additional stud posts in between the posts at the mid bay point to give extra support. 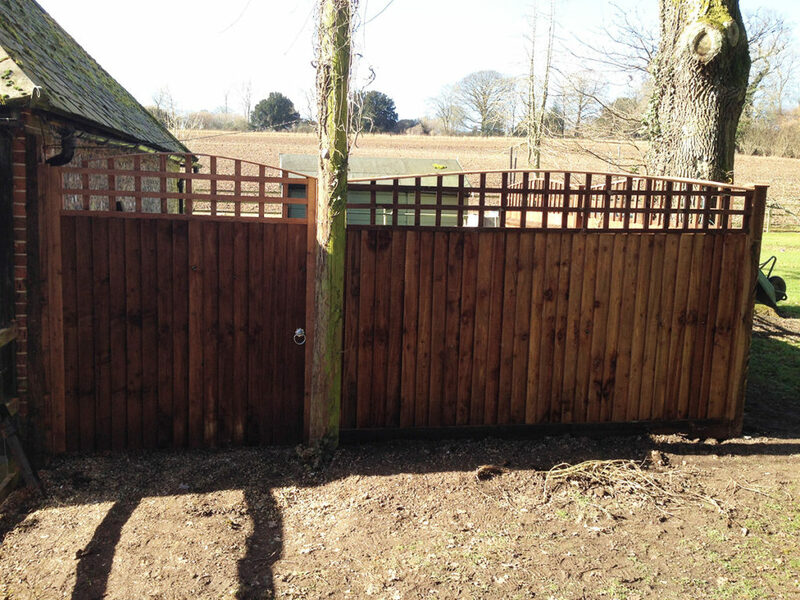 Available in pressure treated softwood or oak. 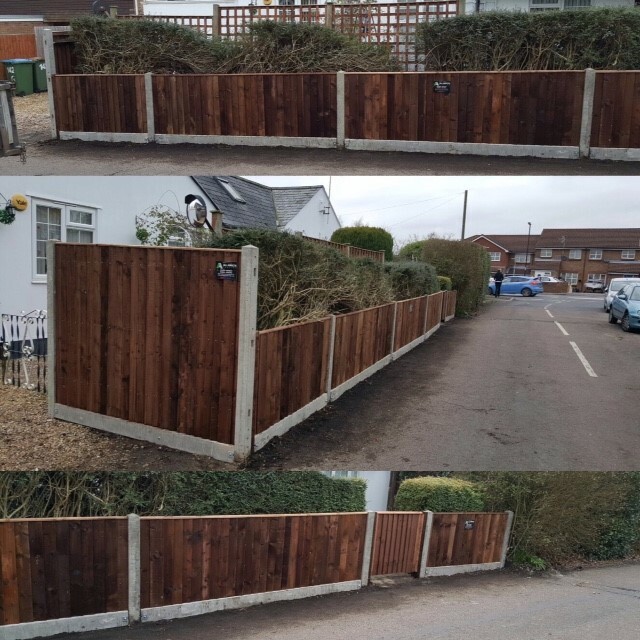 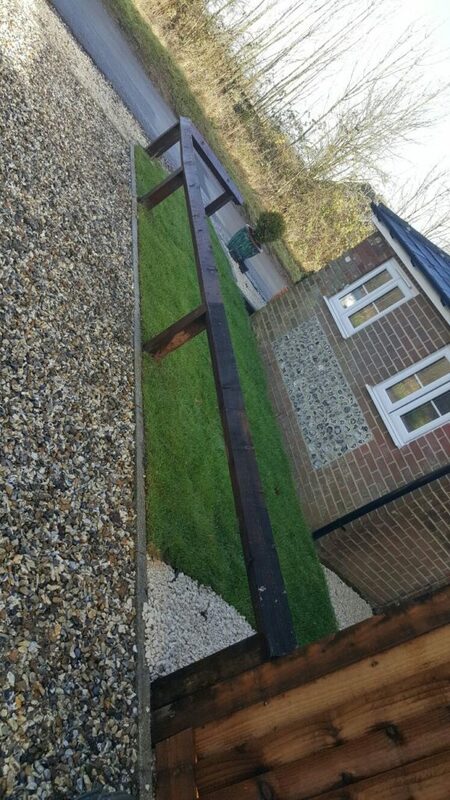 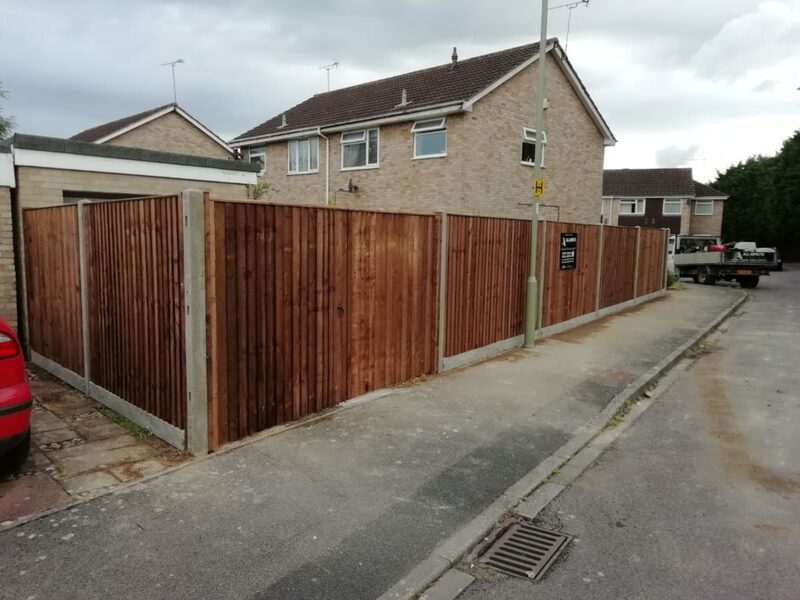 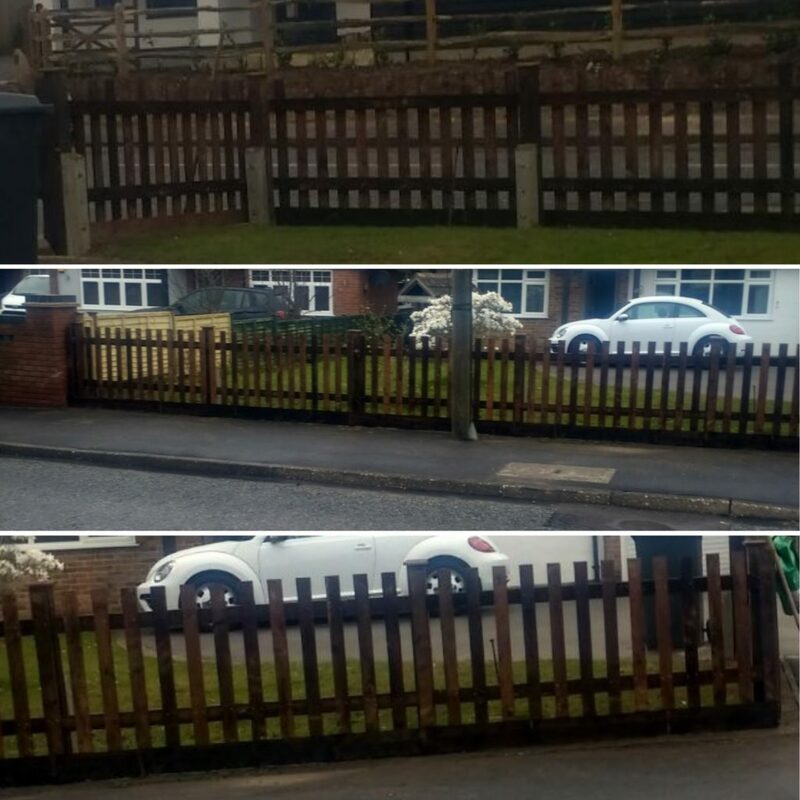 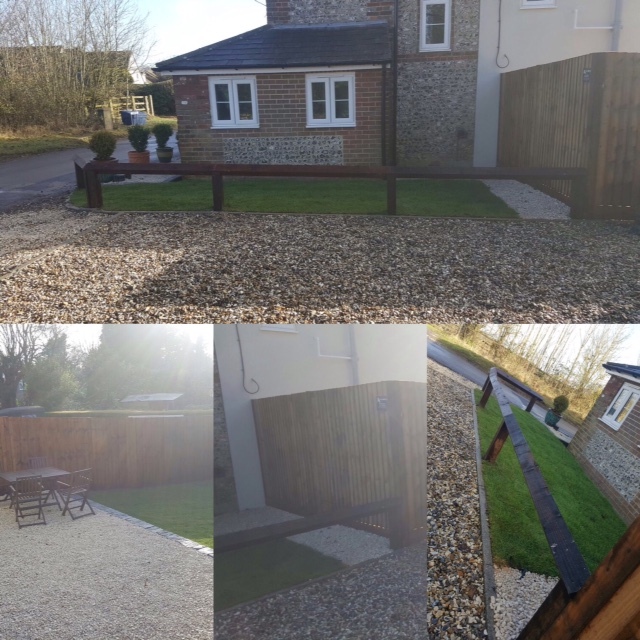 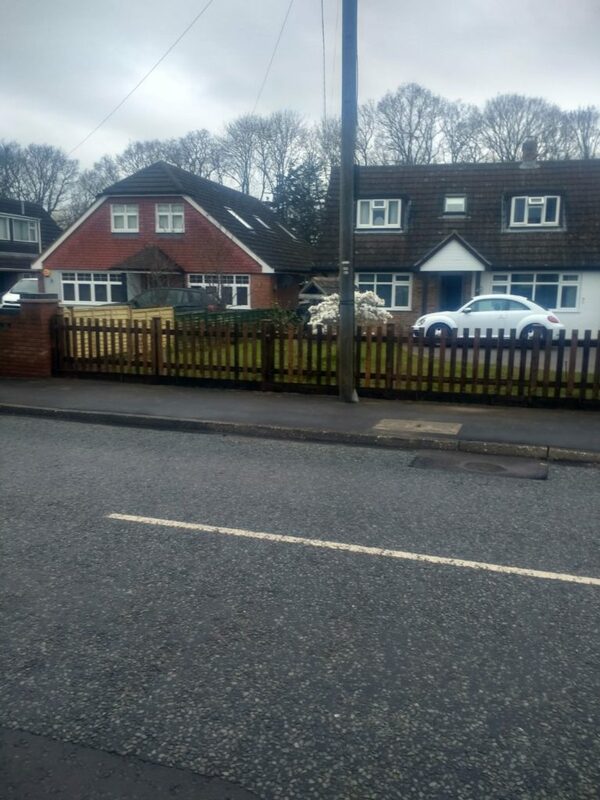 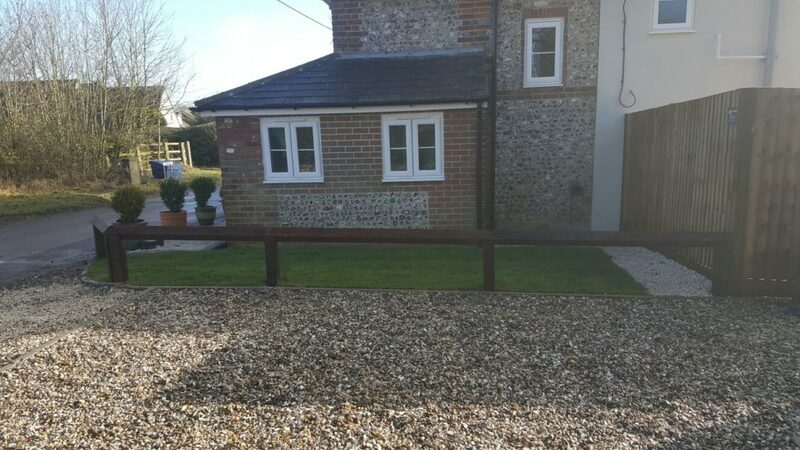 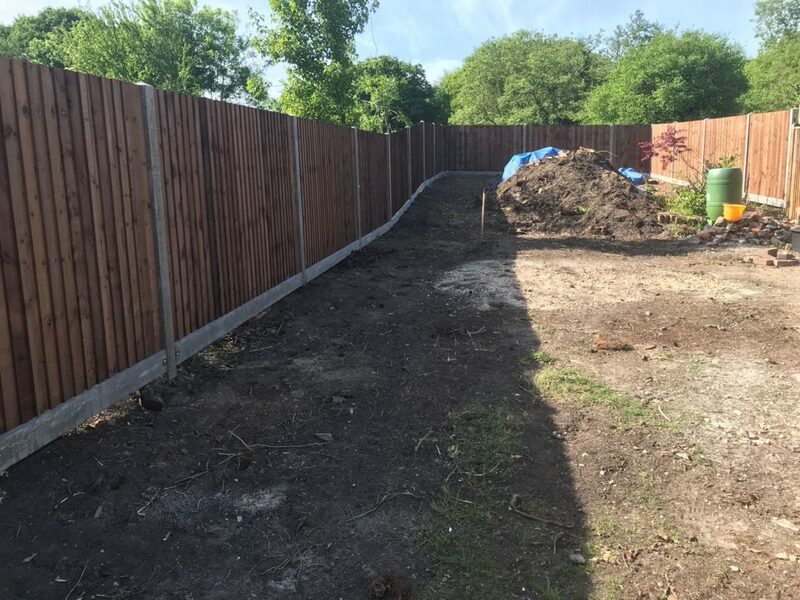 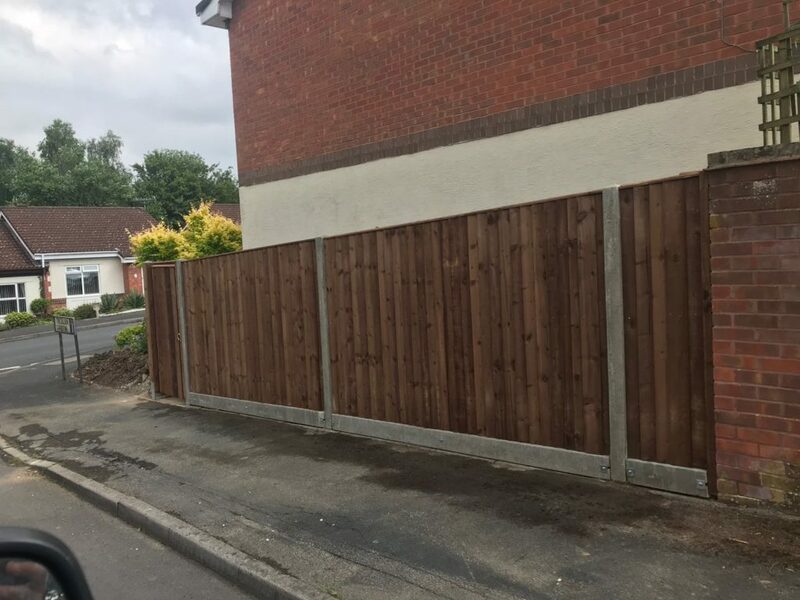 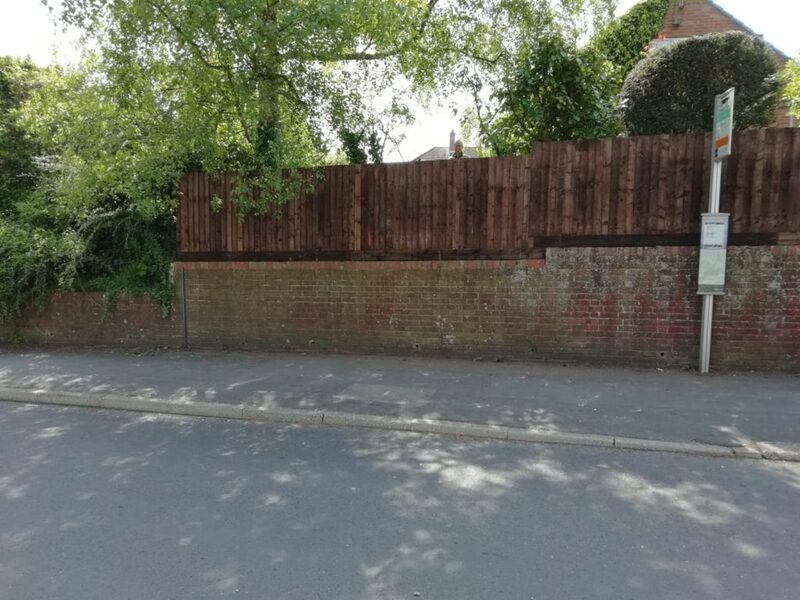 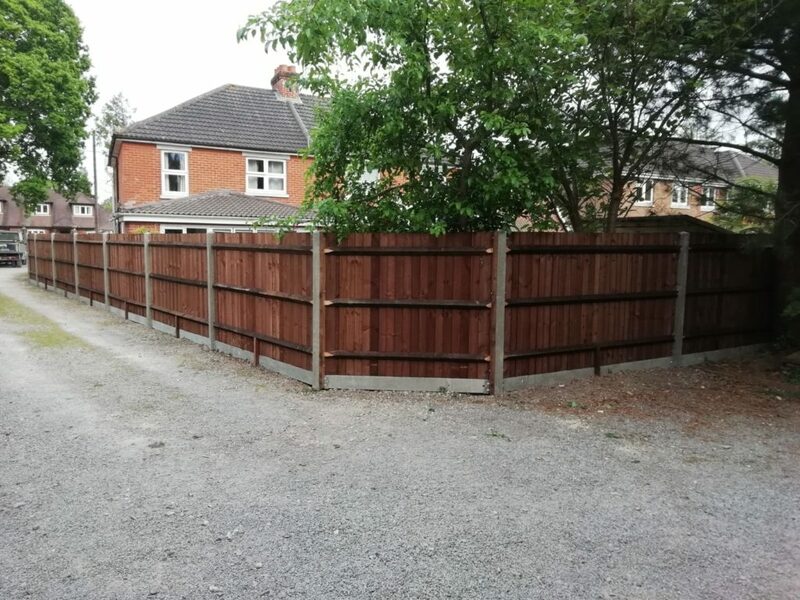 If you want Lincolnshire Post & Rail Fencing then contact All Aspects Fencing Ltd.
All Aspects Fencing Ltd will also custom make fences for your home or business. 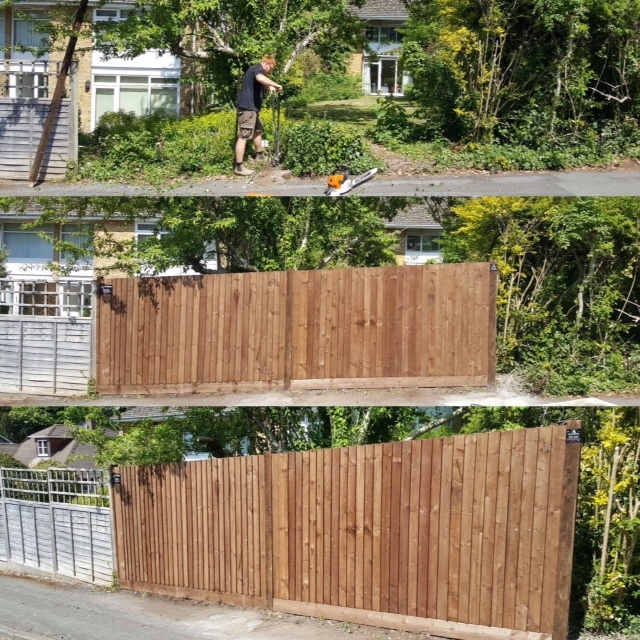 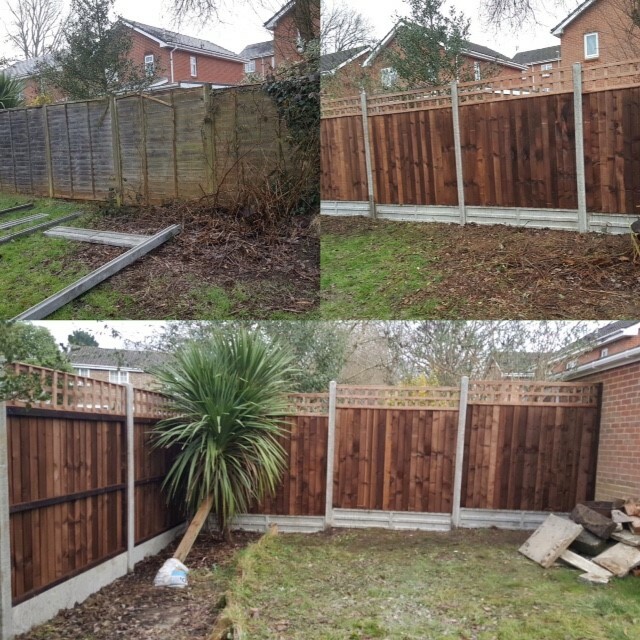 Give All Aspects Fencing Ltd a call, for a free, competitive price and we will make a promise to you now, that All Aspects Fencing Ltd will give you 100% dedication into your garden or business grounds improvement.